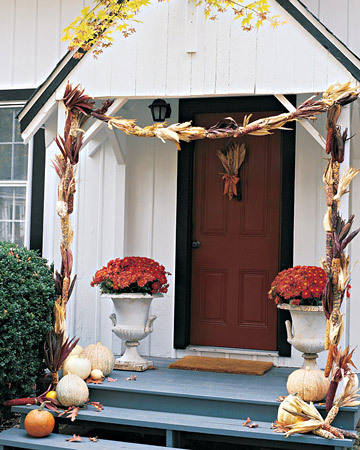 Home Decorating for Autumn: See these 4 Beautiful Fall Decor Ideas for Indoors and Out! 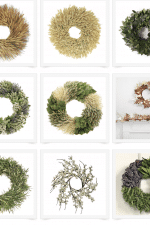 Wreath, urns, centerpiece, tabletop. 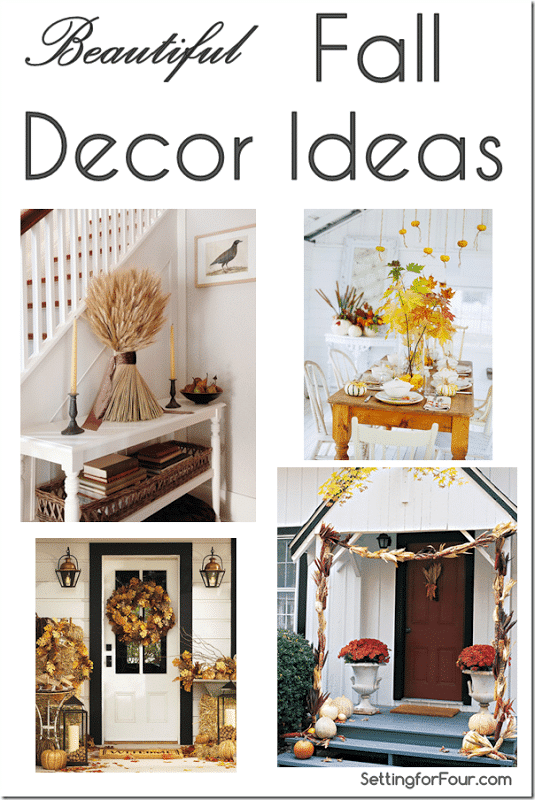 I love Autumn and decorating my home for the season! 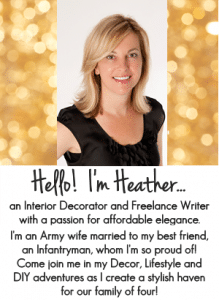 Each year I like to get inspired by home decor magazines!! 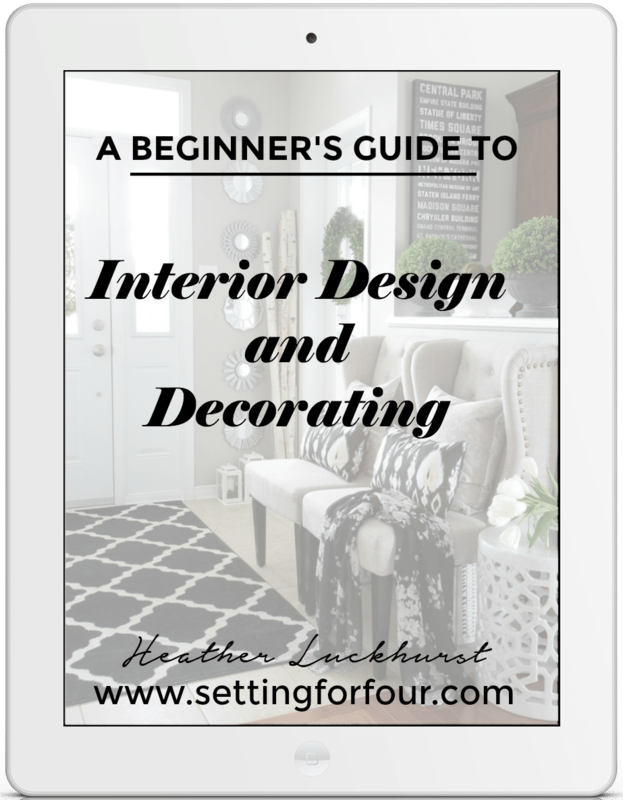 I combed through a my favorite home decor magazines and am excited to share these 4 beautiful fall decor ideas! 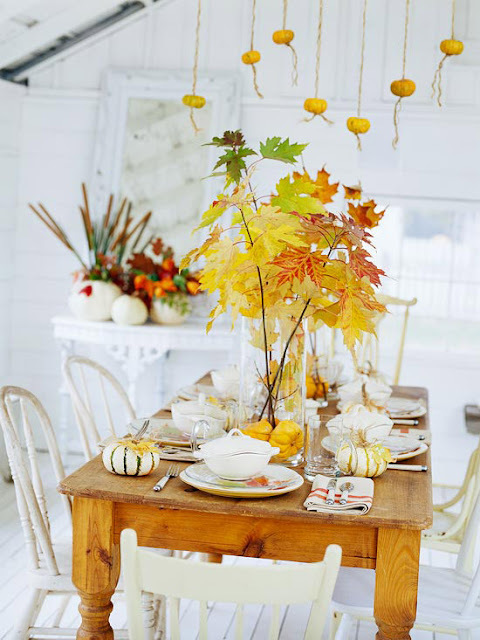 White dishes frame this vibrant autumn tablescape. Fall branches in a vase is an easy and quick DIY centerpiece! 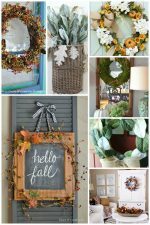 Beautiful Lush fall leaf wreath, bales of hay, lanterns filled with hazelnuts, twiggy pumpkins and urns filled with branches, leaves and more pumpkins! Table styled in neutral autum shades, large wheat bundle tied in beautiful brown velvet ribbon. Which is your favorite autumn scene? 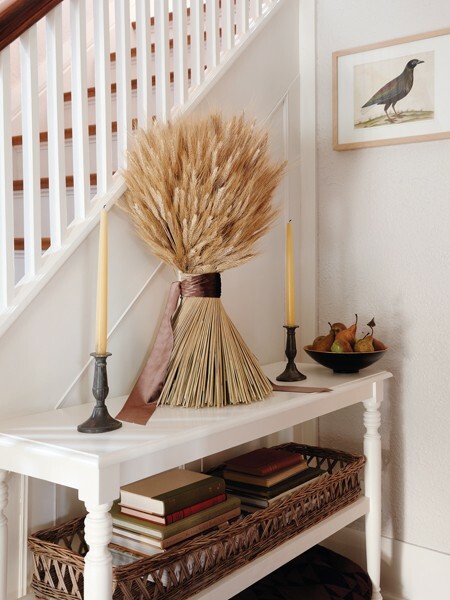 Have you started to decorate your home for fall? That last one is so pretty! I love the leaves. I am so excited for Fall this year. I really want to start decorating now, but seeing as it is still 100 degrees outside, I might get made fun of. 100 degrees and ‘fall decorating’ don’t go very well together do they? 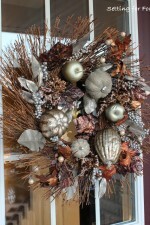 I love the fall branch centerpiece too! Such an inexpensive and quick way to dress a table! And that cylinder vase can be found everywhere! 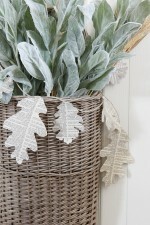 I would love to put up a fall wreath on Sept 1st and start to “fallify”, but in all reality, the fall is sooo busy! We’ll see when I really get time to bring out the fall decor. Katie, I would love to put up a fall wreath Sept 1st too, but can’t find my wreath from our move yet!! Must still be in one of the bazillion boxes we have yet to unpack! Fall is a crazy busy time I completely agree! Maybe I should just skip fall decorating and get ready for Christmas, haha! results of your home decoration. Where did summer go Amy??? Woosh, it went by super fast! I love the fall too! Ah fall my favorite season! 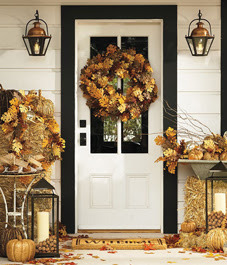 The crisp cool air beautiful colors… (: I love the hazelnut filled lanterns for the front porch with the wreath. And the large bu dle of weat LOVE where would I get one, how long would it last before drying out? Or it doesn’t dry out ;)? But I’m oh so ready to decorat. This helped a lot for ideas 😀 thanks. Sunshine I’ve seen dried wheat lik this at Michaels craft store, if you have one near you…it’s already dried and lasts a long time!